A wall panel with modern and stylish design that is specifically designed to use with Plasma TV and LCD panels. 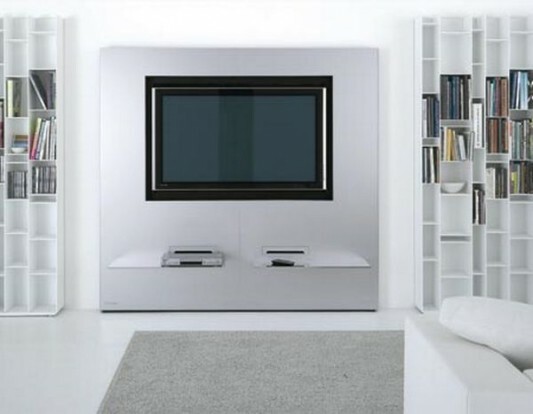 Modern wall units for plasma TV is made in a minimalist design and a future full of features, as part of your living room decor. It is ideal in use for living space with a minimalist space that is not too broad. Wall unit is equipped with a cupboard open and shelving in polished aluminum, which can be used to store a CD or DVD player or other entertainment equipment. 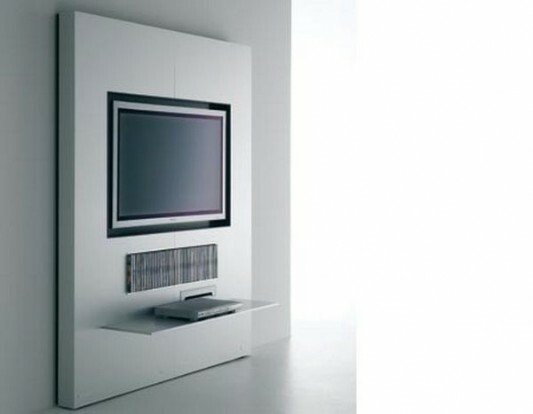 By using this wall unit TV stand, Plasma or LCD TVs can be mounted in two different ways, flush-mount (thanks to a universal system of special repair the wall without the intervention required), or with arms extended TV. Modern wall of this particular unit was designed by MDF Italia, they create a variety of exclusive furniture designed to meet the needs of modern interior decoration style. 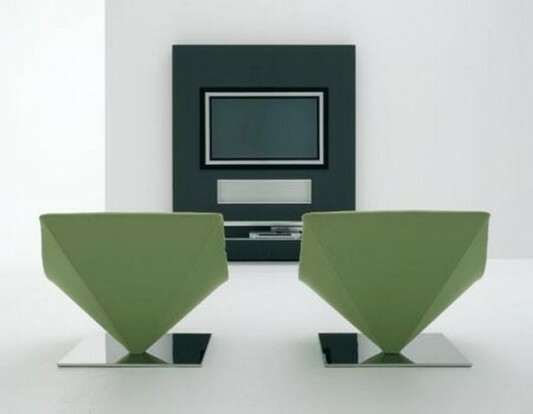 Simple and futuristic design that is finished with lacquer, make their furniture look modern and stylish. Especially for this contemporary wall unit they create finished in a variety of modern and elegant colors, such as lacquering matt white gray or anthracite, natural anodized aluminum; oak gray. For more information you can visit the MDF Italia.